Denver Mile High Holidays – LIGHTS, LIGHTS, and MORE LIGHTS! Halloween’s over, which means the holidays are upon us. I know, I know – I’m early… don’t rush it. Whatever. I love the holiday season! They provide some of the best times of the year. There’s nothing like gathering with friends and family to celebrate new beginnings and holiday cheer. On November 29th at 6 pm, Denver’s Grand Illumination event kicks off, lighting up downtown from Union Station to the City and County Building. 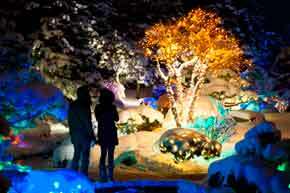 Lights will be available and displayed nightly until the end of December. The initial lighting event on November 29th is a free event, and a great way to see this beautiful city aglow with the holiday spirit. This is a free, all ages event. 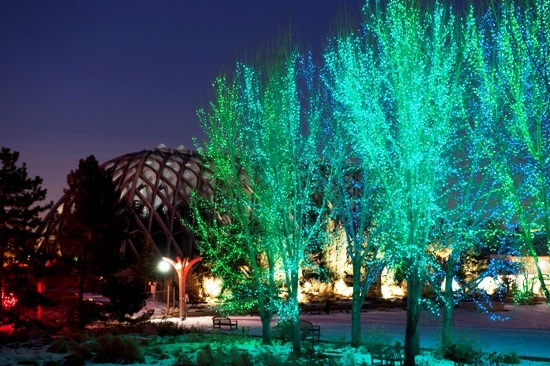 Photo courtesy of Denver Botanic Gardens – if this doesn’t look magical, there’s something wrong with you. Picture courtesy of Westword’s blog. What an amazing view of the lights at the Denver Botanic Gardens. Make sure to check out these, and other, amazing holiday events. Denverspeax will make sure to continue to bring you the low down on what’s good this holiday season. Check back for more cool events brought to you by your favorite city. Don’t forget to mark these holiday events on your calendar – they’re coming up quick!